Glassdoor’s data shows Yahoo’s Jerry Yang became very unpopular May 14. Soon after May 14, Yahoo CEO Jerry Yang’s approval rating among an admittedly small group of Yahoo employees tanked. Not surprisingly, that was the day word spread that corporate raider Carl Icahn was launching his proxy fight against Yang and Yahoo’s embattled board of directors. I know this because of a start-up called Glassdoor.com. While Glassdoor’s service is certainly helpful for nosy reporters who want a read on what employees think of their bosses, that’s not the 12-person company’s only intention. Glassdoor executives say they want to be the TripAdvisor of the workplace. Founded by veterans of Microsoft and Expedia (Rich Barton, the CEO of real estate site Zillow, is non-executive chairman) Glassdoor has a fairly simple goal: Make salary and workplace-quality information (the kind of stuff you’d love to have when you’re interviewing for a new job) as public as possible. 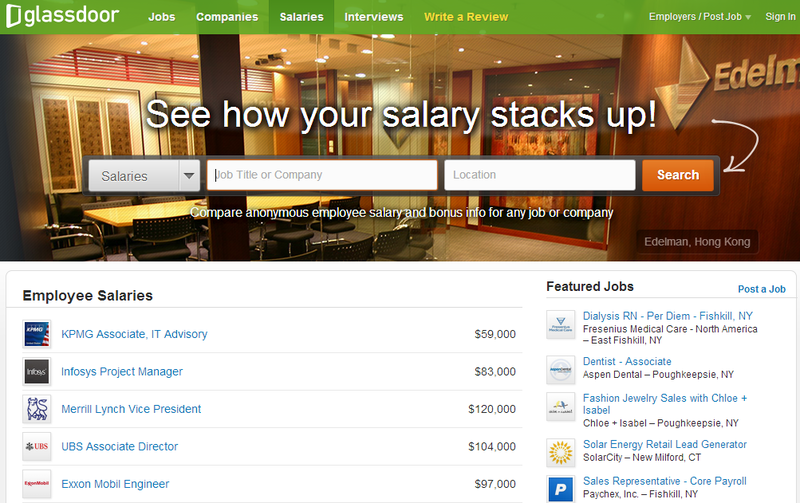 Employees provide Glassdoor’s data and provide that information anonymously. Public beta users will be able to see data from four sample employers–Yahoo, Microsoft, Google, and Cisco Systems–without providing their own information. To get information on more than those four, they’ll have to “give to get,” as the company calls it. So far, more than 3,300 people have filed dossiers on more than 250 companies (not all of them in tech), according to Glassdoor. Employee reviews include “pros” and “cons” of each company, leadership ratings, salaries by position, and bonus details. The site will also send out alerts for a company when reviews are added. Glassdoor may have a unique method for gathering its data, but it’s hardly the only company trying to tackle salary information. Other outfits, such as Salary.com, which claims more than 4 million visitors per month and also sells a business service, are also in the salary info business. Indeed, human resources departments have for years been gathering data on competitors to decide if their salaries are competitive. Which brings me back to Yahoo: While the 49 people who’ve filled out information about Yahoo is in no way a scientific sampling, the lousy CEO approval rating is certainly illustrative of nervousness inside the company. When a corporate raider like Icahn comes calling (particularly after a potential suitor like Microsoft takes a hike), there’s always reason to worry. Will executives cut costs to placate shareholders? Even worse: If the raider wins, will he gut payroll? For a prospective employee, of course, the bigger question is: Should I work at this place?